In its efforts to cut elevating tax expenses, Pfizer Inc. (NYSE:PFE) has reinitiated its efforts to takeover the London-based first, AstraZeneca plc (LON:AZN). AstraZeneca plc (LON:AZN) can help in cutting tax rates and offer a new drugs pipeline for Pfizer Inc. (NYSE:PFE). However, the cost of acquiring the London-based firm is rising continuously. According to Odile Rundquist, Helvea SA-based expert, “Astra will ask for much more, and they have proven they are building a very solid pipeline.” He further added that the company has strong belief in its experimental drugs and it might even lead to a higher asking price charged by the board of directors. AstraZeneca plc (LON:AZN) was planning to spend $2.1 billion in respiratory treatments with a higher sales forecast and even reported successful results for three of its cancer medicines. Earlier, Pfizer Inc. (NYSE:PFE) initiated its acquisition plan in May 2014 citing the merits of the combination of the two companies. However, the company abandoned its plan of acquiring AstraZeneca plc (LON:AZN) on May 26, 2014 with an estimated bid of $116 billion. There are chances the company might reinitiate its takeover plans with a renewed bid next week. 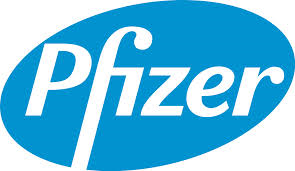 Further, Pfizer Inc. (NYSE:PFE) is considering other potential targets for acquisition including Actavis plc Ordinary Shares (NYSE:ACT). Pfizer Inc. (NYSE:PFE) reported its second quarter 2014 with revenue of $12.8 billion and diluted earnings per share of $0.45. As per the quarterly results, the company repurchased stocks worth $2.9 billion until the second quarter 2014. It net income for the quarter was $2.9 billion as compared to its net income of $14 billion in the same period previous year. The company has a net market cap of $183.50 billion.